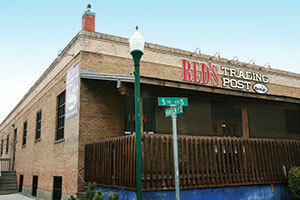 Red’s Trading Post — The oldest gun shop in Idaho. Red’s Trading Post, the oldest gun shop in Idaho, has purchased and sold used firearms for more than 70 years. As with many dealers, seasonal hunting meant Red’s staff spent the majority of the year receiving an influx of used guns while selling relatively few of them. In other words, supply exceeded local demand. After speaking with a customer looking for a unique firearm, Horsley learned about an online auction site that could offer a solution to his seasonal woes — GunBroker.com. That one conversation would completely change the way Red’s did business. GunBroker.com allows third-party sellers to list items, and potential buyers to bid in online auctions. Every buyer or seller must be legally allowed to own firearms. Ownership policies and regulations are followed using licensed firearms dealers as transfer agents. 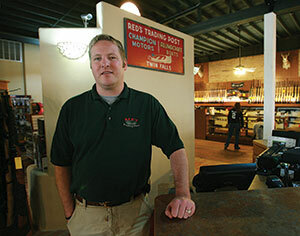 Since registering on GunBroker.com in 2000, Red’s Trading Post has seen an increase in annual sales of more than 600 percent. According to Horsley, the online sales via GunBroker.com now comprise roughly half of the store’s total business. As an unexpected effect, Red’s no longer needs to seasonally cut its workforce. Horsley attributed this to an increased need for shipping, firearm cleaning, photography, product descriptions and other tasks that arose as a result of posting items on GunBroker.com.